To match the Total style most closely, use the Vanilla skin. 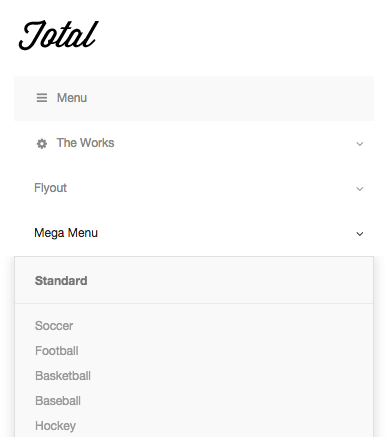 Total injects a search button into the menu, which isn’t styled by UberMenu, so it looks bad. You can disable this and replace it with UberMenu’s search instead.